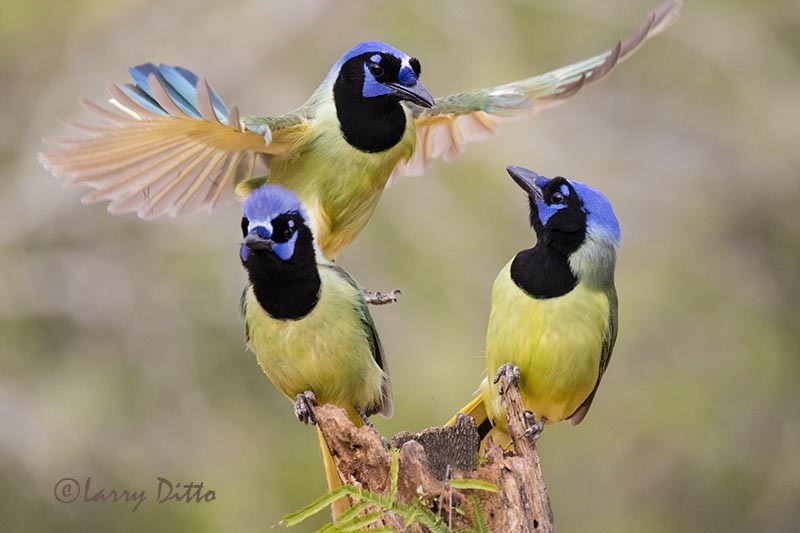 Hello, everybody. It has been so hot for so long, that I just haven’t been outside much. The last few times out, I tried shooting some short videos which was a lot of fun. The editing of said videos isn’t such a big thrill, however. 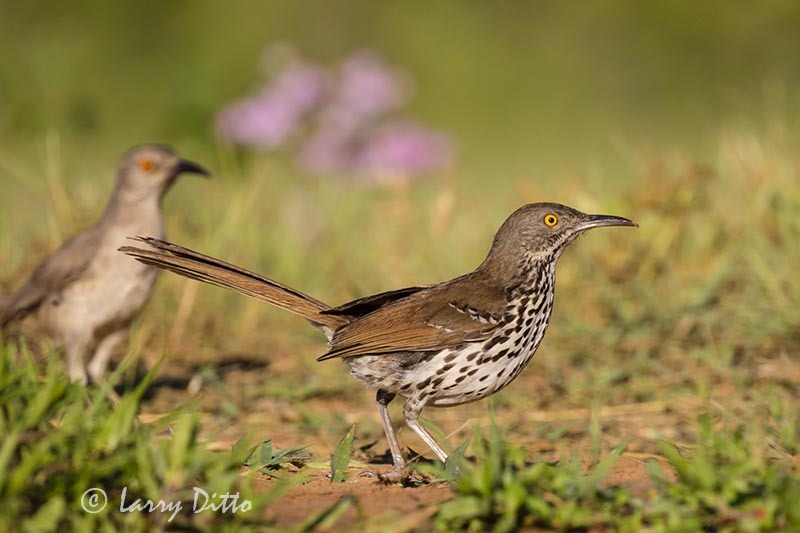 Below are some photos from Transition Ranch, Laguna Seca Ranch and a stretch of highway between Sabinal and Utopia, Texas. 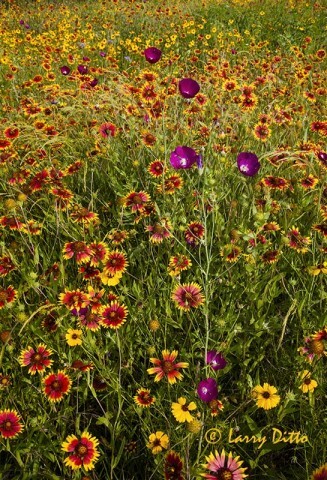 One of my favorite photo ranches, Santa Clara Ranch, has been booked all summer so I’m waiting for October to get back. Don’t forget to click on a photo to enlarge and sharpen it for viewing. 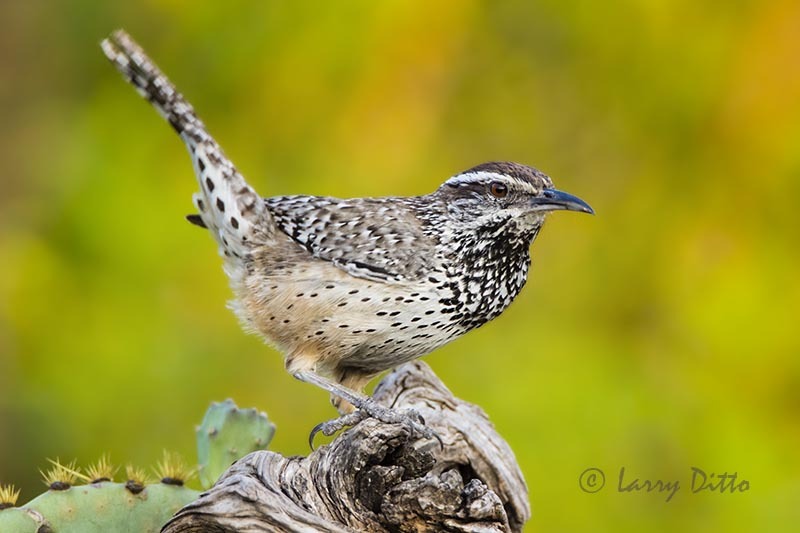 Cactus Wren with colorful background at Transition Ranch. I really liked this wren shot, but should have been shooting at f8 or f11 to bring the tail into focus. On the other hand, that would have brought more detail into the background and I didn’t want that. Unfortunately, this type of pose lasts about 2 seconds, so there is no time to think about “where to focus at f11” and still keep the background blurred. The correct focus point for this shot would probably have been about mid-way up the tail. 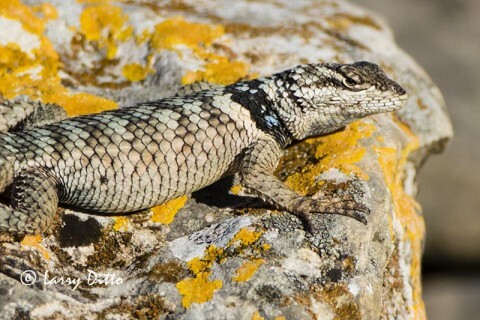 Crevice Spiny Lizard on lichen covered limestone outcropping. Finding room for a trio on this perch. 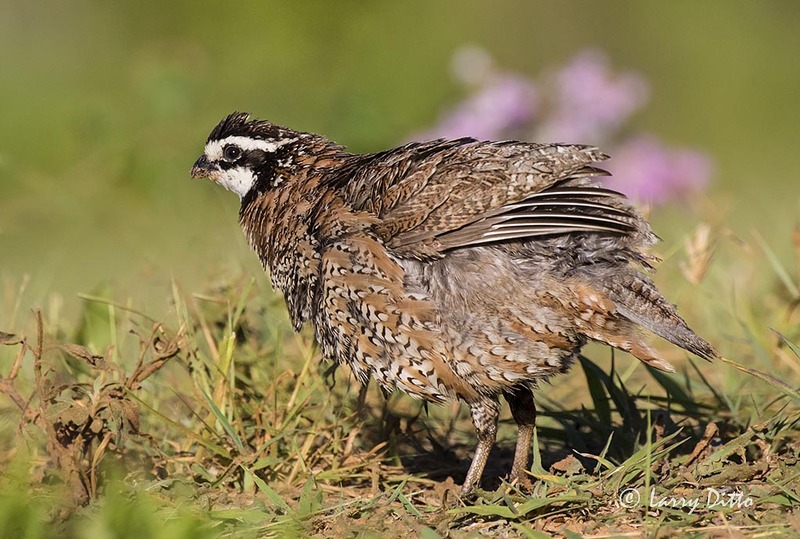 Northern Bobwhite male shaking and re-organizing his feathers. 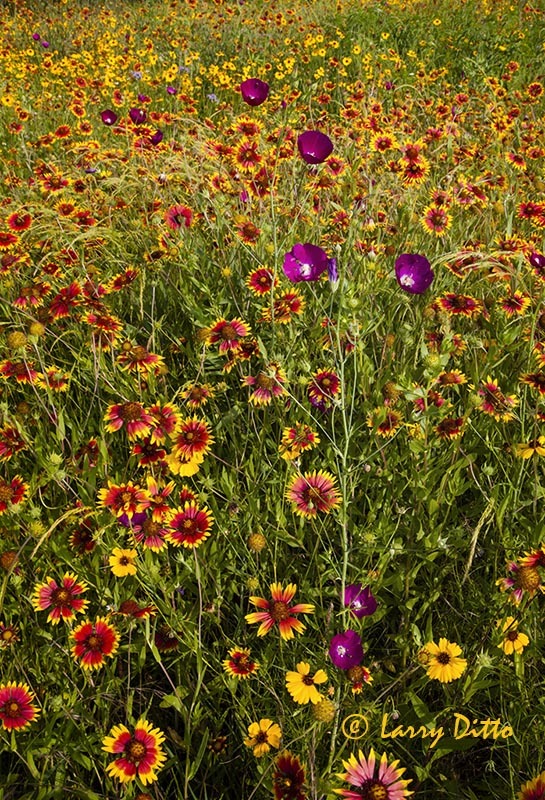 Interest can be added to your photos by placing flowers in the background at strategic locations before photography begins. 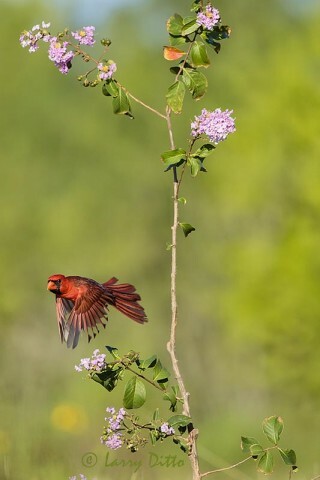 Northern Cardinal flying from Crepe Myrtle branch.. 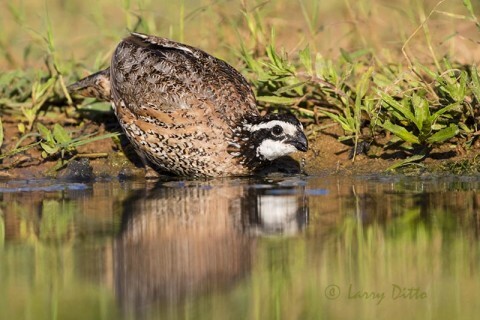 The challenge on this bobwhite quail photo was to capture water running from its beak. Water streaming out of his mouth added interest to the shot. Curve-billed and Long-billed Thrashers chasing prey. 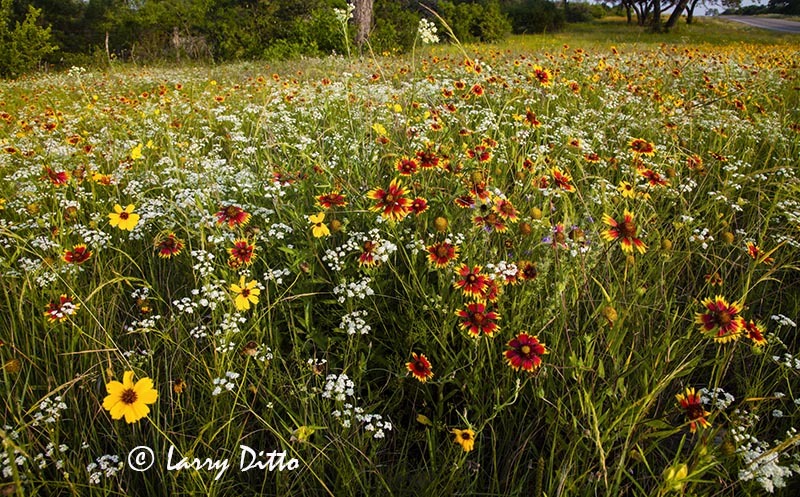 This is a second look at the location with blooming flowers in the background. 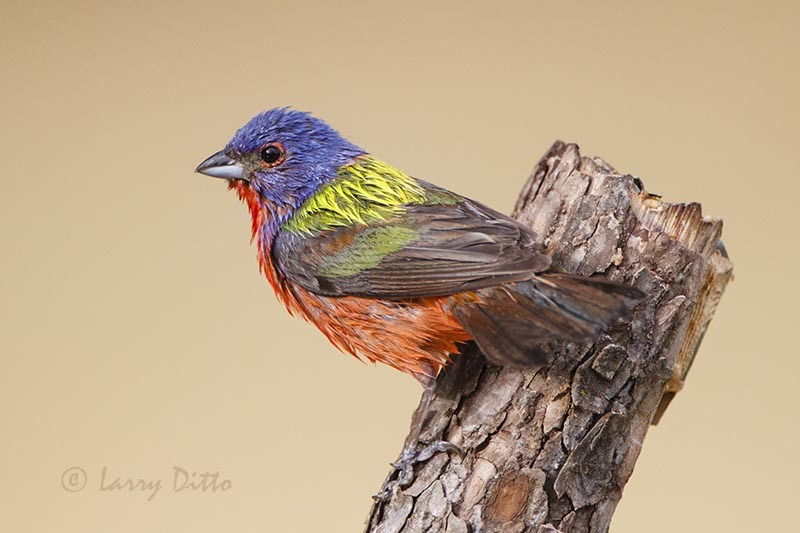 Painted Bunting just out of the bath. Don’t give up if your bird subject comes in to bathe and is frightened away before you get the shot. It will almost always come back two or three times (as this painted bunting did) to finish the job. Wine Cups and Indian Blankets on the Utopia highway. Wildflowers north of Sabinal, Texas. I hope to keep digging up photos from recent trips that haven’t been shared. That way, we can pass the summer days with a reminder of more pleasant weather. I think it’s time to head east for beach shots.